As a doctor of film (not certified or registered but my mum told me I was) I can certify that this film is all genuine and in stunning heath. It is also absolutely and definitely of sound mind, unlike me. Hi all, I’m Taylor Elwood, a 20 year-old college student and passionate photographer. I thoroughly enjoy photography, particularly with film. It is refreshing to slow down and be methodical when we live in such a fast paced world. I also enjoy experimenting with film, especially by cross processing. So here is part of my stash! I am a big fan of slide film, particularly Velvia 50, so I like to keep numerous rolls of it at the ready. 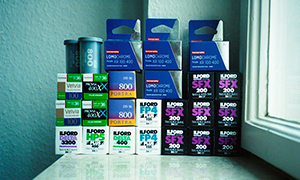 The boxes of Fujichrome on the right all expired between 1989 and 1995, and will be cross processed. 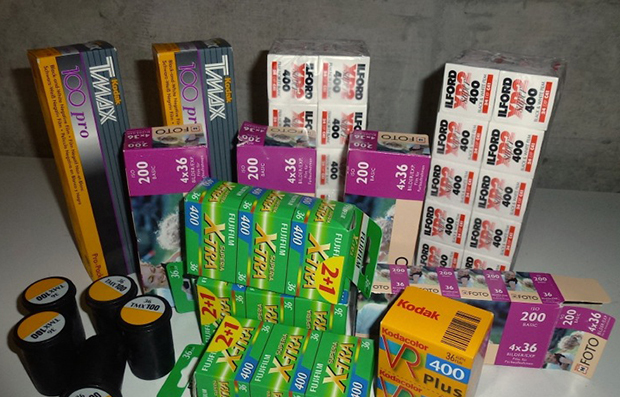 On the left are various other expired films that I will one day get around to shooting. I recently started shooting medium format film, and so my collection is not as extensive, but I still have a good variety here. I particularly enjoy shooting Tri-X and need to get more of it! 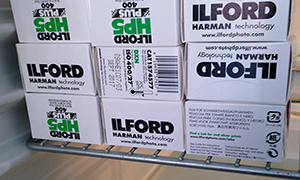 At school, I have a substantial amount of film as well, including about 40 rolls of expired slide film and 27 rolls of cold-stored Kodak Tech Pan. My stash of 135 & 120 – the 3 variants – color negative, B&W and also slides! Thanks for having this website; it’s a great resource. My name is Erica, and I’m from around Chicago, Illinois. I just started shooting film this past year (aside from my parents’ cameras when we were little). Currently my biggest reasons for shooting film are a) the ability to use old cameras, especially the mechanical cameras, b) the fact it forces me to think prior to taking the shot, and c) the variety of results I can get from different emulsions. So excited I got the Provia on sale and can try it out. I have never shot slide film so I am a little nervous, given the limited room for error. 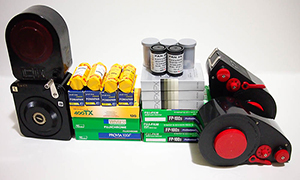 The Agfa film is talked about a lot on the internet and it seems to sit between the Fuji and Kodak consumer films so it should be interesting. 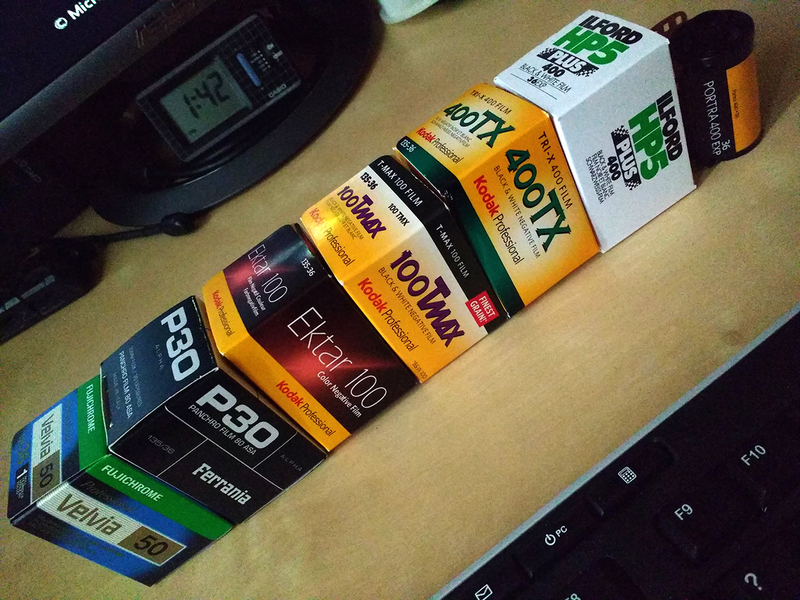 I do not shoot that much, or post that much online, but am slightly paranoid the cheaper film will run out or get more expensive, so this should last me quite some time.